On April 20th, Sunrise presented a broadcast on the Gundam Fan Club to reveal a special announcement. Interestingly this is completely separate to the recent Mobile Suit Gundam 00 projects that were announced a couple days prior, which were a new stage play and an untitled anime sequel project. During the broadcast came a timeline that reveals whereabouts the new anime projects will be located in the continuity. 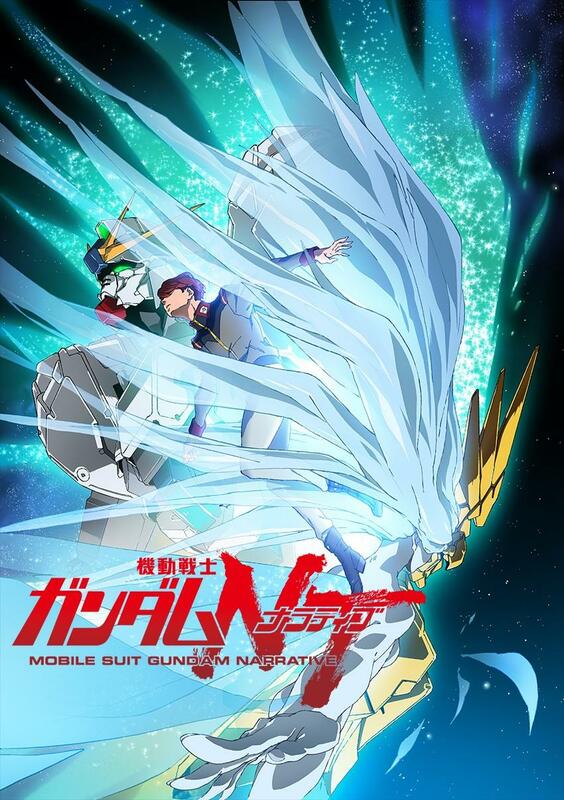 The broadcast has revealed Mobile Suit Gundam Narrative (Gundam NT), a brand new continuation to the events of Mobile Suit Gundam Unicorn. This will be released as a movie sometime in November 2018. The project’s official site is also now live showing off the main logo and visual. So far details on the new project reveal the setting to be sometime in U.C. 0097 and staff members have also been confirmed with Shunichi Yoshizawa as director, Harukoshi Fukui writing the screenplay, Kumiko Takahashi as original character designer, Kim Satoshi as character designer, Hiroyuki Sawano returning as composer and more noted on the official site. Also revealed in the timeline shown above is Mobile Suit Gundam: Hathaway’s Flash movie project. The first episode is set to air in Japanese theaters in Autumn 2019 with the next two at a later date. Hathaway’s Flash is a three novel series written by Yoshiyuki Tomino during 1989-1990. 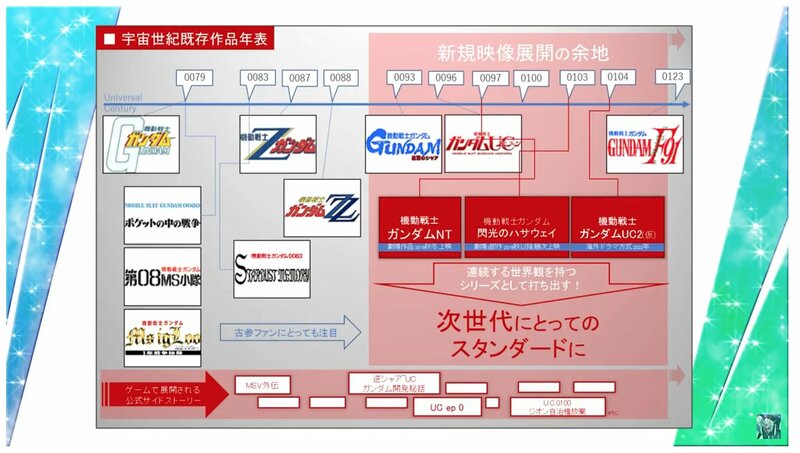 Also noted in the timeline is Mobile Suit Gundam UC 2 due for 2022. During the event Sunrise apparently was not supposed to show these two titles so it’s not known whether they are green-lit for the time being.